Author: Gardner, Ashley Set In . 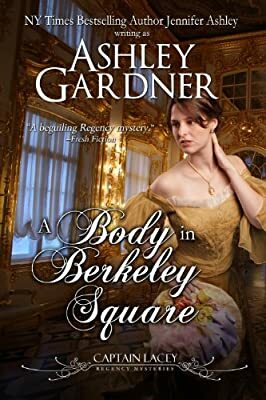 . .
A Bow Street Runner summons Captain Gabriel Lacey to a Berkeley Square ballroom where a young dandy was stabbed to death during a society ball. The prime suspect: Lacey's former commander, Colonel Brandon. Instead of denying the charges, Colonel Brandon allows himself to be arrested, and claims, to Lacey's shock, that the lady he'd stayed protectively near at the ball is his mistress. Lacey realizes that he is the only person not convinced of Brandon's guilt--all present, including Brandon's wife, believe that Brandon committed the murder. Colonel Brandon's reticence to tell the truth proves to be Lacey's greatest obstacle in his race against time to prove Brandon's innocence. As Lacey's relationship with Lady Breckenridge moves forward, his hunt for evidence to clear Brandon uncovers dark secrets that go back to the Peninsular Wars and involve the origins of Lacey's and Brandon's private battle.